Bertie County feels like home. Though situated in rural North Carolina, which seems light years away from a hustle-and-bustle city like Chicago, there’s familiarity in the proximity of prisons to Black families, lack of jobs and school closures in Bertie County. That’s because Black life in urban spaces like Chicago isn’t much different than Black life in rural America – considering both’s past and present issues with such systematic inequalities. Raising Bertie, a documentary produced by Chicago-based documentary powerhouse Kartemquin Films (Hoop Dreams, The Interrupters) and executive produced by rapper J.Cole, opens our eyes to these similarities and more with its observational look into the worlds of three Black boys growing up in Bertie County. The film is screening this weekend through June 22 in Chicago at Studio Movie Grill in Chatham ahead of its Aug. 28 television premiere on PBS. 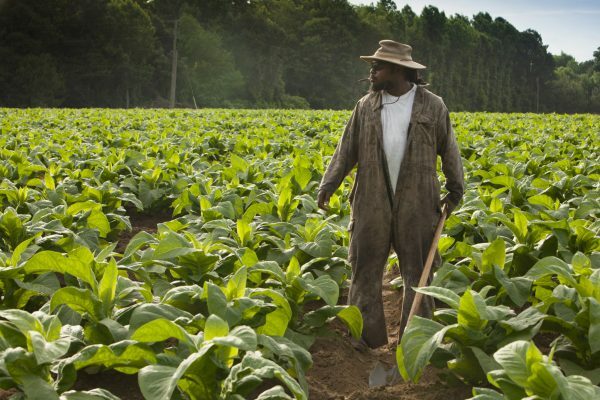 “When people talk about rural America, they’re usually envisioning white people,” says Raising Bertie producer Ian Robertson Kibbe. Because of this, Kibbe says, Black residents in places like Bertie County are overlooked and suffering tremendously. Over a six-year period, director Margaret Byrne followed the lives of Reginald “Junior” Askew, David “Bud” Perry and Davonte “Dada” Harrell; three students who attend an alternative school for young men called The Hive. Once The Hive loses funding, the boys are tossed into a nearby high school where they face a number of challenges, including difficulties staying out of trouble with the law and passing their classes to graduate. Byrne’s use of vérité storytelling allows viewers to see reality as it unfolds in the lives of each boy while also giving intimate access to the mothers raising them to be men in the absence of their fathers. Kibbe, a Kartemquin resident who joined Raising Bertie as a producer and fundraiser around 2012, felt strong ties to the storyline. Born to an Afro-Jamaican mother and white father, Kibbe says he grew up understanding the complexities of race in society and how people are treated based on skin color. “In my day to day, I’m white to people on the street – from TSA [at the airport] and police officers to regular people,” Kibbe says. It’s his belief that his skin color is the reason why he’s able to sit-in on conversations in white spaces that wouldn’t occur if a Black person was in the room. He uses these opportunities to build bridges between white and Black communities. Additionally, Kibbe is a native North Carolinian. During road trips to the coastline from his childhood home in Durham, Kibbe and his family would pass by Bertie County. “You stop for barbecue and boiled peanuts, and you just don’t really engage with the people who live there,” Kibbe says, recalling his past. For him, Raising Bertie is not only his chance to encourage city dwellers to engage with their rural neighbors, but also to debunk the narrative that the only working-class residents in rural America are white. In fact, Kibbe says, it’s on the backs of Black people that the U.S. gets clean water, food and other resources. Raising Bertie highlights this with scenes of Black people harvesting cotton in large fields and processing chicken in factories. Where: Studio Movie Grill Chatham, 210 W. 87th St.